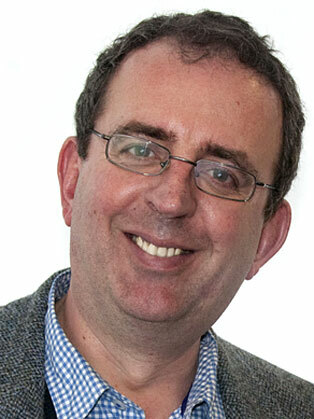 Richard Coles is a priest of the Church of England and Vicar of Finedon in Northamptonshire, where two of his ancestors were Vicars in the seventeenth century (the latter sequestered for malignancy). He has a parallel career in broadcasting and currently co-presents Saturday Live on BBC Radio 4 and appears, from time to time, on QI and Have I Got News For You. Following up on a successful media career Richard trained for a priesthood in the Church of England. Meanwhile he continues to work in broadcasting, with Newsnight and as an opera reviewer, Songs of Praise and as a panellist on Have I Got News For You. In 2011 he became the regular host of BBC 4’s Saturday Live programme and currently presents BBC One's Big Painting Challenge. The multi-talented Coles turned his hand to acting, narrating Style Council's movie JerUSAlem. He also penned music for film and TV, served up advice as 'agony uncle' on BBC London and won a Sony Gold as presenter of The Mix on Radio 5 Live. With a successful media career already established, Coles trained for a priesthood in the Church of England - becoming what could only be described as a 'very modern' vicar. He was Curate at St Boltoph's in Lincolnshire before moving to St Paul's Knightsbridge and becoming Chaplain to the Royal Academy of Music. Richard Coles continues to work in broadcasting, as an opera reviewer and frequent contributor to Newsnight Review. He has featured as a panellist on Have I Got News For You and presents Radio 4's Saturday Live. He also makes time for the odd Songs of Praise special. We were delighted with Richard Coles’ presentation, it was amusing, well delivered and appropriate for the day. We also appreciated the efforts he made to network with our guests before his presentation. He didn’t just read a script, he delivered what we asked for and more- an event manager’s dream.